The full un-edited 2 hour audio recording of our Media Art Histories roundtable discussion in Liverpool during the RE:WIRE conference. Lots of great discussion and contention among participants in the hope to build up something bigger. : a media art histories declaration in the near future. 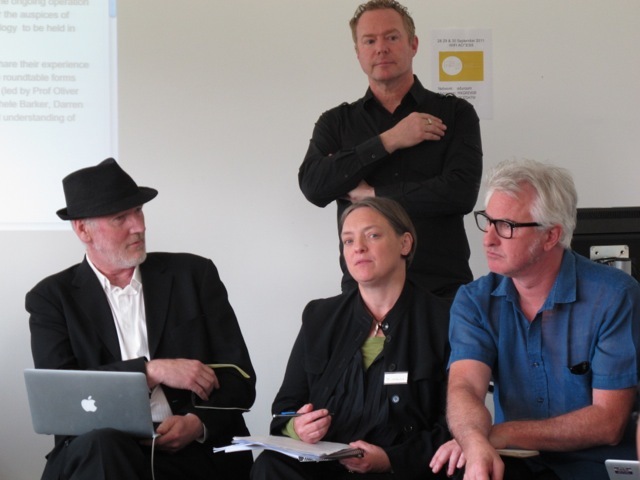 Some serious looking roundtable types here: (from left to right): Paul Thomas, Pip Laurenson, Ross Harley, and Darren Tofts (photo Mike Leggett). © 2011 Stereopresence. All Rights Reserved.